Home - L.J. Hausner Construction Co.
"...they did an amazing job. " Aluminum Patio Covers Installed Starting at $9.95 per square foot. 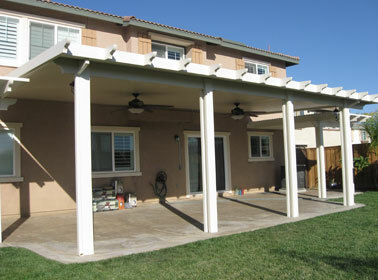 Patio Covers are a great way to enjoy and relax in your outdoor areas. 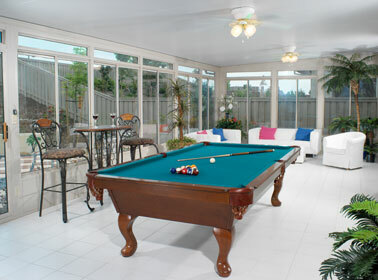 Take advantage of our great weather with a beautiful patio enclosure. Bring the beauty of the outside in with new windows or doors. We here at LJ Hausner Construction Company are a family. Our number one priority is to serve our customers’ family by anticipating their needs and exceeding their expectations. We offer our Southern California neighbors and friends the very best home improvement products at the lowest possible prices. Anyone can offer a lower price than Hausner Construction, but no one can offer a better product for less money. We do what it takes, every day, to make Hausner Const. Co. the best place for our family to serve yours. – Robert K. Hausner, President.